When you hear talking about hypnobirthing the first question that could come to mind is Hypno what? We can consider hypnobirthing one of those pregnancy courses aimed at putting the woman at the center of her pregnancy, a way to accompany her in the search for her own resources and her confidence in her abilities. 1. What are the goals of Hypnobirthing? The goal of the prenatal education that hypnobirthing is to provide the future parents with the necessary tools to live the birth of their child as a positive and satisfying experience. its well known in the Anglo-Saxon world, and pregnant women choose to learn hypnobirthing tools to possibly experience a delivery less painful. 1. How does Hypnobirthing work? Hypnobirthing is based on the concept that the enemy of childbirth is not pain, but fear, anxiety and tension. In fact, these reactions activate in our body a primordial mechanism that causes the release of some "hindering" substances for delivery. These are hormones that have the effect of diverting the blood towards our defense organs, so that the woman can "fight" the perceived danger: the body stiffens, up to increase the pain and hinder the process of childbirth. Experience show that when a woman is relaxed, her body releases endorphins, or natural painkillers produced by the body itself, which interact with other hormones helping to relax the muscles and thus facilitate delivery. The pregnancy course is based on 3 basic principles: breathing, visualization and self-hypnosis. When we think about breathing we think about an important tool during pregnancy. At a physical level, it releases tension and creates space for the baby in the stomach. It must be a belly breathing,a conscious and deep breathing that can also help at an emotional level as well, since pregnancy brings women to slow down, to listen, and be able to accept changes positively. when we talk about breathing we are talking about a deep breathing, that allows pregnant women to experience pregnancy personally, making birth a conscious act. Visualization, the second principle is always connected with the first, since breathing helps to stop the thoughts so that the future mom can concentrate and with the visualization she can mentally build the image of the birth that you want. So many times it happens that we struggle to say what we want for us in the future, very quietly expressing what we do not want. The various visualization exercises help to focus the thought on the scenario you want to experience. Moreover through the visualization pregnant women can become aware of their fears, understand where they come from, accept them and make sure they stop conditioning them. For example,knowing and understanding during the class the explanation of the physiological process of birth and understanding that many of these fears they have made things harder to experience helps them feel less influenced. 3. Where does the Hypno part come from? Well the third part is about Self hypnosis, meaning in this specific case deep state of relaxation. this state is a state that we all experience almost every day, and its when we find ourselves immersed in thoughts and perform in automatic, some activities like for example washing dishes, brushing teeth, etc. The function of the self hypnosis is to allow the mum to abandon herself without using her thoughts, her mind, feeling totally confident in her body and her child. What, however, makes the course unique and a must, is the fact that the father is described and considered as an active part of the course. the partner learns how to best support the pregnant women and how to feel connected in such a unique moment of their life, becomes the most important tool that helps the women fell centred, supported and calm. 4. Why we believe that Hypnobirthing is a must? There are several reasons, and benefits that makes us think hypnobirthing is the way to go when pregnant. first it is a natural form of pain management that does not involve the use of drugs with potential side effects either for the mother or for the child. In addition, it can provide comfort, relaxation and relief and decrease stress and fear during labor, allows you to remain vigilant and facilitate the postpartum experience: if a mother feels she has made the best decisions for her particular circumstances, his puerperio, or the time necessary for the female genital apparatus to resume its normal functions after delivery, will be facilitated. It is important to keep in mind that it's not a hypnosis method, but a form of deep meditation which encourages women to use the mind to manage the pain and unpredictability of childbirth; with the course you learn techniques that you can apply when alone in the delivery room, without the need for a present therapist; It is not a form of mind control or brainwashing; It does not induce a state of deep sleep; It does not take away from her woman her free will and her ability to choose; It makes you vigilant and aware of what happens in the birth process. A good time to start thinking about taking a class of hypnobirthing is around the thirds trimester or whenever you feel that you are anxious about pregnancy, you can make an appointment at the office or through Skype. 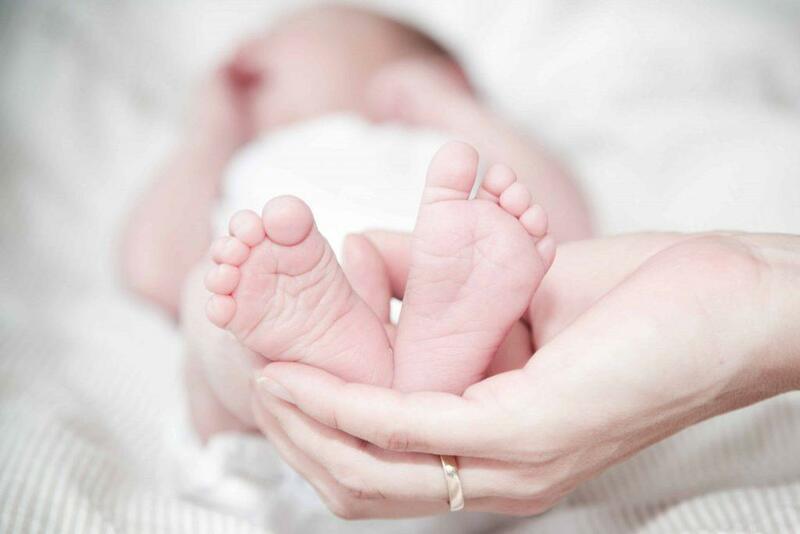 For more information about Hypnobirthing, book a Consultation with one of our Therapists. We offer CBT, Counselling and Psychotherapy at our clinics in Central London.